Utilizing Quotas to Increase Political Participation of Persons with Disabilities | Global Disability RightsNow! 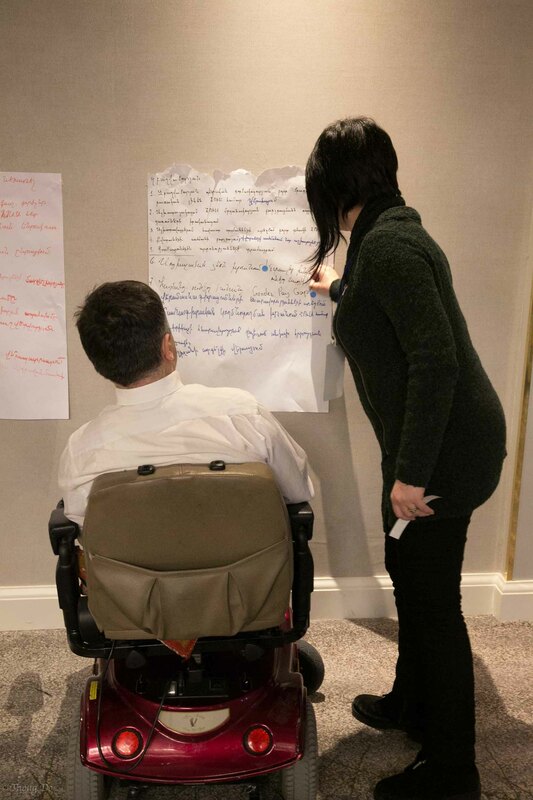 Political participation is an important way for people with disabilities to integrate with the community and to advocate for greater accessibility. The Convention on the Rights of Persons with Disabilities (CRPD) upholds the right of people with disabilities to vote and to run for office, yet, in many countries, there are few people with disabilities who become politicians or even candidates. Quotas can increase access to political decision-making processes, empowering people with disabilities to be leaders in their communities. A quota is a set number or percentage of people guaranteed to participate from a marginalized group to provide better access to an institution or organization. Quotas can be used to make sure there is representation of a group in places such as the work force or parliament. A legislated candidate quota is a law written into the constitution or passed by parliament that requires that a certain number of people from a marginalized group, such as persons with disabilities, be candidates in an election. In order for the list of candidates to be accepted by the election management body or government for the election, the party must fill the quota. A quota that calls for “reserved” seats is a law written into the constitution or passed by parliament that requires a certain number of seats in parliament to be allocated to people from a marginalized group. These seats may be filled either by nomination or by election. When political parties agree to include a certain number of people from a marginalized group in their candidate lists, it is considered a voluntary party quota. This agreement is not outlined in the constitution or by a law passed in parliament, so it may be the case that some parties in a country agree to the follow the recommendations of the quota while others do not. Quotas are intended to increase representation of groups that are marginalized from the political process, which can expand access to decision-making processes. This process reinforces access of a marginalized group, such as persons with disabilities, to enact laws that support their rights. Whether through the constitution, legislation, or party agreements, quotas are ultimately determined by those who control decision-making processes. For this reason, if, for example, disabled persons’ organizations (DPOs) in a country determine that a quota will enhance participation of people with disabilities, DPOs would then need to advocate with the government or party. If advocating for a quota, it is important to consider both what kind of quota might be the best fit for the context and what percentage or how many seats or list spots would be ideal. Quotas are not the best option in every situation, but in some country contexts, they can provide new opportunities for political engagement.